After 40 years of working together under a collaborative agreement, the Mt. Crested Butte Police Department and the Gunnison Sheriff’s Office may be parting ways, and no one is publicly saying why the county is considering such a move. The area of service includes all portions of the county that fall outside of the towns of Mt. Crested Butte and Crested Butte but within the boundaries of the Crested Butte Fire Protection District, essentially the area north of Round Mountain. In exchange for this service, the county has paid the town of Mt. Crested Butte $138,644 annually, though that amount is expected to increase by about $7,000 if the agreement is continued. Mt. Crested Butte employs eight people in the police department to cover town and the upper valley. “We have a huge investment in our police department to properly cover this end of the valley and we’ve been doing this since 1980,” acting town manager Karl Trujillo told the Mt. Crested Butte Town Council at last week’s council meeting. “We have established relationships throughout valley. Our officers are the first ones on scene for EMS calls and fire calls. They know what’s going to happen when they are there. Trujillo told the council that town staff has been working for several months to reach an agreement for the extension of service with the sheriff’s office and Gunnison County; however, there had been little response from sheriff Rick Besecker and the general feeling was that there was hesitation at some level to continue with the agreement. As a result, Trujillo said, he and Mt. Crested Butte mayor Todd Barnes were scheduling meetings directly with the county commissioners to explain the benefits of the LEA. Barnes added that should the county terminate the agreement as it stands, he would hope that they would agree to a plan to phase in the change in service—something that would allow for Gunnison County to hire and train enough deputies to provide adequate coverage for the upper valley. 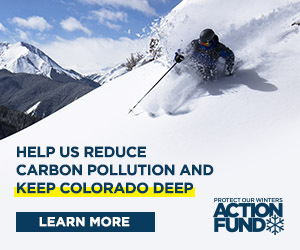 “If the agreement ends on December 31 without an extension in place, it could technically leave us without coverage for a full ski season,” Barnes said. “We’re going to respond, but we’re not going to be compensated for it,” responded Trujillo, about the potential gap in service. Mt. Crested Butte chief of police Nate Stepanek said rumors of the dissolution of the LEA are already rippling through the upper valley and in some cases causing problems, and just to be clear, the Mt. Crested Butte police are deputized by the sheriff and provide specific services to the county, including but not limited to: traffic violation enforcement; investigation of traffic accidents; business checks after hours; criminal investigation; maintenance of records and search warrants; and enforcement of all county ordinances. “We’ve had a couple people respond saying, ‘You don’t have the sheriff contract, you can’t arrest me,’” Stepanek told the Town Council. Kathleen Fogo, Mt. Crested Butte’s legal counsel, told the town that the county manager and sheriff had requested a six-month extension to the LEA; however, the general agreement within town staff was that such a stop-gap was not desirable, and at a minimum they were hoping for a year to three years. As of Tuesday, November 14, Trujillo said he and Barnes had met with two of the county commissioners and it looked like the contract could potentially be renewed for at least a year to allow for the phasing in of the coverage change.